KUALA LUMPUR — A Malaysian court on Monday sentenced Đoàn Thị Hương to three years and four months in jail in connection with the murder of a North Korean national in 2017. 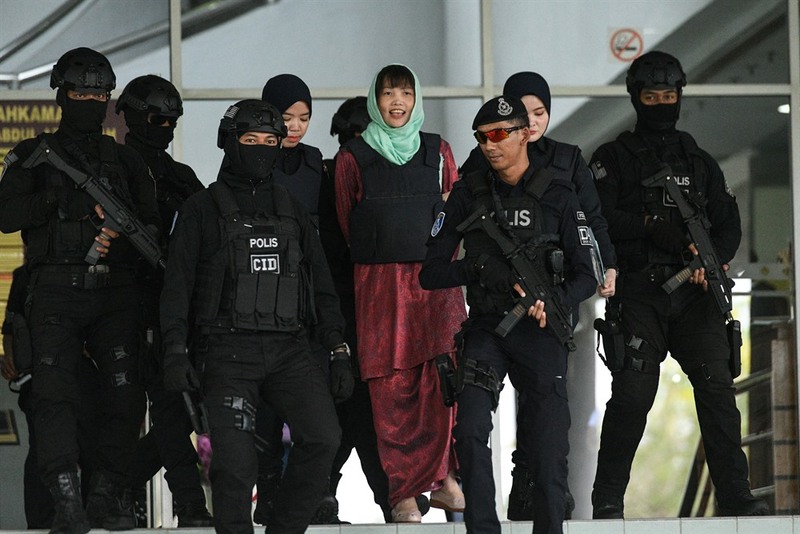 She was found guilty of voluntarily causing hurt with dangerous weapons or means by Judge Azmi Ariffin of the Shah Alam High Court of Selangor State. Her legal team said with the usual sentence reductions she would be back home next month. She has been in jail since her arrest in 2017. The court decided to consider the lesser charge of voluntarily causing hurt with dangerous weapons or means instead of murder. Under Section 324 of the Malaysian Penal Code, it includes voluntarily causing hurt by means of poison or corrosive substance, explosive substance or any substance which is deleterious to the human body if inhaled, swallowed or injected. It carries a maximum punishment of ten years in jail, fine or whipping or any two of them. The North Korean national, whose passport name was Kim Chol, was fatally smeared on his face with a chemical at Kuala Lumpur International Airport on February 13, 2017. The other suspect in the case, Indonesian Siti Aisyah, 27, was released from custody last month after the court dropped the murder charge against her without explanation. Vietnamese ambassador to Malaysia, Lê Quý Quỳnh, told Vietnam News Agency after the trial that the Government had made great efforts to protect its citizen. He thanked the Malaysian Government and others for their support.